There’s a book in all this. About a hundred miles west of Austin along Texas State Highway 71, the road widens for a moment. The speed limit dips to fifty five and, if you’re not paying attention, you might miss the town of Pontotoc altogether. Keep an eye out, though, and you’ll see a vineyard on your right: a few acres of Tempranillo with a beautiful old windmill and stone well. Next to the vineyard, there’s the old, derelict town centre dating from the turn of the century, when this community was first established: a cinema, grocery store and post office, all made of locally quarried stone. Adjacent to these, and looking out over the vines, is a magnificent residence in which I find myself right now. Dating from the same era as the town centre buildings, it is designed in a style that, I imagine, felt good to the Germans who originally settled this place and who remain a big influence throughout Texas Hill Country. These beautiful structures are in various states of repair and their owner, Carl Money, is slowly restoring them to their former glory. 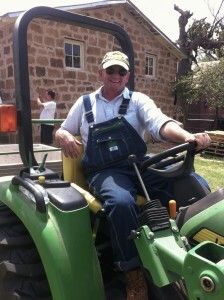 Carl is also responsible for planting the vineyard, which in land area comprises a large part of Pontotoc. A prominent lawyer and longtime globetrotter, Carl fell in love with wine as a young man in Europe. He is the archetypal Texan: friendly, talkative, assertive; a man with a big accent, big plans and, it seems, the drive to realise them. Having tasted wine all over the Old World, he clearly has an international perspective, which makes his decision to make authentically Texan wine all the more interesting. He might have chosen any number of places to plant his beloved Tempranillo vines, but he chose Pontotoc, Mason County. He isn’t just establishing his own Estate; in effect, he is building an entire wine community in Pontotoc. When complete, the old town centre will house three wineries, a large tasting hall and various entertainment spaces. His belief in the State’s wines is demonstrably strong, as is his conviction that a geological feature known as the Llano Uplift, which underpins Pontotoc Vineyard and runs through much of Mason County, provides a unique terroir for the region. Having spent some time with him over the past few days, Carl’s enthusiasm is infectious. While in Texas, I hope to get a sense of why this region’s wines have inspired such commitment. The old stone town centre already houses Pontotoc Vineyard’s winery and it is here that Don Pullum, Pontotoc’s winemaker, works with the vineyard’s Tempranillo and premium parcels purchased from other Texas vineyards. “All Texas fruit” is the philosophy, a somewhat radical, purist approach in a state that has habitually purchased grapes and wine from California to blend with the local product. 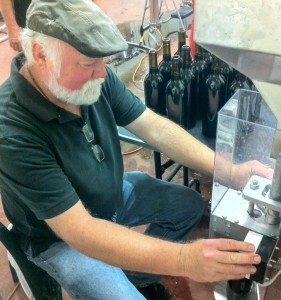 Don Pullum makes wine at a couple of other wineries too; in fact, he was the first commercial winemaker in Mason County, where Pontotoc is located. He also planted the County’s first commercial vineyard, Akashic Vineyard. It’s fair to say he’s the father of the wine industry in Mason County, and growing the County’s wine industry remains his focus. It wasn’t an easy birth. In fact, the first winery in the County, Sandstone Cellars, had to wait for an amendment to the Texas Constitution before it could sell its wines at cellar door. Mason, you see, is a dry county, and the sale of alcohol is only permitted in specific circumstances. From Sandstone’s establishment in 2003 has sprung a whole industry in Mason County, albeit one that is tangibly emerging from the vacuum of prohibition. There are now about ten vineyards here, most of which were established with Don’s encouragement, and everywhere I go there seems talk of new plantings, both underway and contemplated. A handful of new wineries has also appeared. 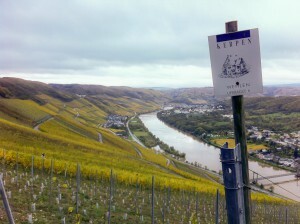 The wines are still few in number and astoundingly varied in varietal composition, but not style. In fact, stylistic consistency is striking across producers, a fact that becomes much more interesting when one considers how few harvests have taken place, how many different varieties are being used and the relative lack of any winemaking tradition here. If you follow the wines of Sandstone Cellars, you can piece together the story of Mason County wine. The cornucopia of varieties that have been used to make these wines prompted Sandstone’s owners, Scott Haupert and Manny Silerio, to name their wines sequentially, as if to reinforce the fact they are embarking on a kind of vinous expedition. Starting with with the I in 2004, an almost-standard Rhône blend (Grenache, Syrah, Mourvèdre, with a cheeky dash of Primitivo), Sandstone’s wines have included varieties as diverse as Touriga Nacional, Viognier, Sangiovese, Tempranillo, Nebbiolo, Zinfandel, Merlot and Barbera. Often mixed in complex “fusion blends,” these varieties provide different expressions of local growing conditions, often with quite different flavour profiles, but which are unified by unwaveringly bright fruit, strikingly floral aroma profiles and, in the mouth, medium bodied elegance. As good as these and the wines of Pontotoc Vineyard are (and they are very good), producers here are still working with open minds toward a set of varieties that best express the local terroir. Tempranillo features strongly, as does Touriga Nacional, Mourvèdre and Syrah. Whites are more problematic, although Viognier has its proponents. But my sense is the experimentation will continue as growers get to know their sites better and winemakers discover how to harness the region’s fruit most effectively. Without a long history of winemaking, there’s a shared sense of discovery amongst producers here; this is truly frontier country when it comes to wine, and those working to establish the region show a curiosity and energy I’ve not encountered in more established regions. My work at Terra Sancta finished on Sunday, so I’ve taken a few days in Queenstown to relax and reflect on what has been a hectic time. Now that my string of Southern Hemisphere vintages is at an end, my most immediate, visceral reaction is to feel somewhat at a loose end. Harvest is such a busy time, with no shortage of things to do at any point in the day, that having to search for things to occupy my time seems alien. Moreover, as much as I might have wished for breaks during vintage to rest a bit, now that I’m no longer actively engaged in making wine, I miss it. A lot. And it’s only been a few days. Harvest at Terra Sancta proceeded as smoothly as it started, which is to say remarkably so given the new winery. A few niggles here and there, mostly with equipment and electrics, but no more so than one might expect at any winery. The winemaking team seemed pleased with how things went, and certainly from a quality perspective I saw a lot of very exciting batches come through. If I’m in a position to give advice to the few people less experienced than I, I would suggest doing a vintage with a good deal of lab time as well as cellar work. I did about half-half at Terra Sancta, and while cellar work is massively enjoyable, being in the lab meant I monitored and tasted everything, from the largest open fermenters to individual barrels, which isn’t always possible if one is confined solely to a busy cellar. As with previous vintages at Lake’s Folly and Dowie Doole, I was exceptionally fortunate to work with a chief winemaker whose enthusiasm manifested in a willingness to share thoughts and experiences on a daily basis. Jen Parr, just last year awarded New Zealand Winemaker of the Year at the New Zealand International Wine Show, is a very intuitive winemaker, and it was enormously educational to discuss with her the progress of each ferment, how to respond to changes, when to make additions and initiate key actions such as pressing or arresting fermentations. I’m not sure how much I was able to contribute other than to provide data, but it certainly fascinated me on a daily basis watching Jen steer each batch through to safe completion. Jody Pagey, other half of the winemaking team, looks after cellar operations and does so most ably, as he is highly experienced across the full range of cellar activities. I will always remember a particularly fast forklift session Jody performed to weigh a large batch of fruit that was delivered just moments before home time. I’m still not a sensationally good forklift driver, but to my surprise I found myself doing the full range of forklift duties and generally zipping around the cellar when not in the lab. I still feel like I need to deepen my experience of cellar tasks, but this vintage was another step forward in that regard, especially in terms of reductively handled white wines. Towards the end of vintage, it was personally satisfying to be able to be given job by Jody and to not have to ask him to talk me through each aspect of how it should be done. Progress, I hope. I suppose it’s natural to reflect on the differences between each experience I’ve had so far. Going from regions like the Hunter and McLaren Vale, both amongst Australia’s oldest and most traditional, to an upstart like Central Otago, provides plenty to think about. One obvious difference, apart from simply the styles made in all three regions, is an apparent freedom to experiment in Central that may not be so readily available (or accepted by the market) in more established regions. While Pinot Noir winemaking here seems pretty consistent, with some key practices that don’t vary much between producers, there is a lot of energy and excitement directed at white and rosé styles, and much variation to be found between producers. Pinot Gris ranges from dry to moderately sweet, Riesling even more so, and I was surprised at the amount of oxidative handling given to all whites and rosés, often as a component to be blended into a larger amount of more simply handled material. Mount Difficulty’s rosé is a good case in point – it’s quite un-aromatic in style, all barrel fermented, and all the more interesting for it. Another especially interesting example is a batch of Pinot Gris we made at Terra Sancta, fermented to dryness on skins. That was really educational to taste each day, and I was fascinated by how far removed its aromas and flavours were from more traditionally handled Gris. One might interpret all this experimentation as an ongoing search for the region’s proper styles; wine does seem to gravitate towards stylistic consensus within regions. But it’s also a lot of fun and I sense, as much as Pinot Noir is the main deal here, that more creativity is to be found in whites and rosés, even allowing for the inherent potential for more winemaking trickery with these styles compared to dry reds. Equally, however, I continue to find satisfaction in well established styles that have been honed over many years by guardians of particular regions. Lake’s Folly Chardonnay, for example, has been consistently made over many years, and to my mind is a pinnacle of its region and style. To improve on it, one would have to branch out in a different direction, which is what Rod Kempe has done with his Hill Block bottling. It’s too easy to dismiss classic New World styles in the rush to discover even newer regions and varieties, and part of my personal wine mission is to value New World wines whose styles represent an authentic winemaking tradition, whether fashionable or not. Not to posit regions in opposition to one another; if anything, working in three very different regions so far has elevated my sense of the diversity of wine, which is a large part of the pleasure of loving wine. As a drinker, I’d not want to be without any of the key styles I’ve worked with so far – luscious Hunter Chardonnay (yes, it’s good), flavoursome McLaren Vale reds, mysterious Central Otago Pinot Noir. They can all house beautiful wines that have a place in any sort of vinous canon one might want define. There have been a few surreal moments over the past two weeks, not least during the drive to work each day, the backdrop to which is a landscape that seems more properly suited to a fantasy film or, at the very least, an extreme sports holiday. Central Otago is surely one of the most spectacular wine regions I’ve visited, brushing aside the prettiness of intensive viticulture for vast mountain ranges and pristine lakes. As a tourist, I’ve enjoyed three visits here, but this time I’m hard at work, doing vintage at Terra Sancta. Having grown out of an acquisition of Olssens Garden Vineyard by prominent New Zealand businessman Mark Weldon, Terra Sancta now draws on three estate vineyards in Bannockburn, including the oldest planting on Felton Road. A range of aromatic whites grace the portfolio, but the main game is Pinot Noir, in both rosé and red forms. The winemaking team comprises Jen Parr and Jody Pagey, while viticulture is headed by Len Ibbotson. I’m one of three cellarhands. Working in a small team is wonderful in that I’m able to have regular chats with Jen, Jody and Len, getting great insights into their approaches and experiences. 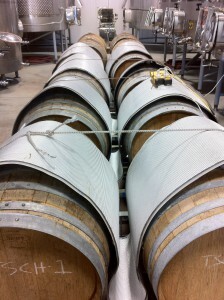 A couple of days in, Jen asked me to put blankets on some Chardonnay barrels so they’d start fermenting. The idea so tickled me that I couldn’t resist taking a photo. Going from McLaren Vale, with its high-thirties days to Central Otago, where autumn frosts are a real threat to harvest, is like entering another winemaking world. Warming is a real issue, and we’re often having to warm tanks to prepare them for innoculation. Fruit comes in at fifteen degrees at two in the afternoon. Acids are stratospheric. There’s a tub in the winery marked “sugar.” I regularly wear three layers, two of which are made of merino, and my terry towelling bucket hat is completely without use. There’s no question that New Zealanders take their Pinot Noir very seriously. This is my first experience of making Pinot, and the process does seem somewhat more finicky than the rough and tumble of McLaren Vale Shiraz. Terra Sancta’s winery is of a sufficient capacity to allow extended time on skins, so we’re cold-soaking, gently plunging during ferment, leaving wine on skins post-ferment and generally allowing each parcel to go through a fairly disciplined winemaking process. The condition of the fruit coming in has been spectacularly good, due no doubt to sound viticulture but also a dry growing season. Although the winery is state-of-the-art, tonnage isn’t huge and cellar practices are firmly artisanal (no must pumps, for example) so there’s a lot of manual handling along the way. Even as I become more knowledgeable and confident with cellar operations (though I still come across new things every day), landing in the world of cool climate Pinot Noir has thrown my sense of wine and it’s been an educational challenge to get my head around not only the vastly different berry composition of the fruit here but the sensory aspects and how these influence winemaking decisions. These aren’t shallow considerations; it would take years to get comfortable with a region and its styles, to master the vinification of fruit from specific vineyards. I like the idea of that deep dive, and it’s something that appeals to me when I think of my own plans, even as the urge to see more regions and different fruit remains. For now, though, I’m excited to taste all the batches we are working on each day, some ultra-fragranced, some dark and more structured, yet others rich and fully fruited. Maximising extract isn’t the game; it’s more about gentle management and getting enough structure from the fruit while preserving the delicacy of the variety. As with my experience in McLaren Vale, some parcels have looked stunning from day one, and I’m especially enjoying their transformation through fermentation, seeing which characters persist through that process and which morph into something else. The aromatic whites are fun to make too, particularly off-dry styles, and I’ll be very interested to see how they compare with those I’ll be working on in the Mosel later this year. Most of our fruit should be in by the end of the week, and we’ll soon start pressing the first of the reds. As always, a huge amount for me to learn. The main reason for me undertaking a series of vintages is to learn about making wine. However, a range of other nuggets have been regularly dropping into my lap along the way; for example, just a couple of days ago I stood corrected on the issue of the name of one of the country’s oldest, most famous regions: McLaren Vale. Following a reckless tweet, I now have it on good authority that McLaren Vale is not preceded by “the.” Dear readers, you have been thus advised. Shameful, really, to perpetuate such an error regarding one of my favourite Australian wine regions, one in which I find myself right now, in the throes of assisting producer Dowie Doole with vintage. I’ve long had warm regard for Dowie Doole wines, which regular readers of this site will already know. The portfolio mixes traditionally styled reds with an adventurous Chenin Blanc-driven white portfolio, always cleanly made and generously styled. I’ve also enjoyed an entertaining email correspondence with Leigh Gilligan, Managing Director of Dowie Doole and McLaren Vale veteran. When he became aware that I was looking for vintage opportunities, he offered me a cellarhand place from late February to the end of March, which takes in the bulk of vintage activity. I’ve not always found wineries amenable to considering a wine writer, no matter how niche, for a vintage cellarhand position, so I am grateful for his willingness to give me a go. I’m primarily involved with making red wines here, and the learning curve is steep after focusing on Chardonnay at Lake’s Folly. One exception is a rather interesting, oxidatively handled Vermentino that is (wild) fermenting in barrel as I type, hopefully becoming something delicious and beautiful. 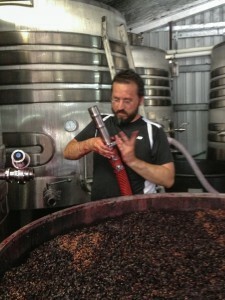 Dowie Doole’s red styles are in the mainstream of McLaren Vale wines, privileging drinkability above eccentricity, and are made in small lots using highly manual winemaking approaches. Chris Thomas is Dowie Doole’s winemaker, and the red wines are made at the winery formerly occupied by Wayne Thomas (father of Andrew) and now by Tim Geddes. Chris is energetic in a way that I don’t think I’ve ever been and patiently talks me through each decision and operation. He also has strong views on wine, which seems to be a mark of all the winemakers I find interesting. It’s all that I could hope for, really. To say that I ache all over is a vast understatement, yet each morning when I arrive at the winery, the body warms up and the learning continues. It’s been a while since I’ve had to learn so much every day just to keep up. Pumps, hoses, fittings, cleaning, presses, pump overs, rack and returns, additions, measurements, vineyard sampling; even after less than a week’s work here I’m slightly astonished by the number of winemaking operations I’ve been exposed to. But this is just how it happens, and as my sense of incompetence fades, I’m able to look up now and then and smile at the fact that I’m actually helping to make some pretty damned interesting wines with a bunch of people I really like. I even had a moment where I thought I might just be able to do this. The timing of all this proved interesting. In the lead up, I checked with Leigh as to my start date, and all looked good for a gentle easing in from late February. A couple of hot days, though, brought forward several parcels of fruit, and just hours after arriving in the region, I started work in the winery. So far, we’ve processed some Tempranillo (destined for the G&T label), the aforementioned Vermentino, which is bottled under Dowie Doole’s experimental range, and several parcels of Shiraz. It fascinates me how diverse the flavours of fruit can be from day one. Of the parcels of Shiraz we are currently fermenting, some are dark and structured, some are vibrant and fruit driven, others sit somewhere in between. It’s exciting to see them evolve through the fermentation, and a big learning for me is seeing the ways in which flavour and structure change through this process. I can understand a complete lack of interest by some in anything but the finished wine, but for this wine obsessive seeing the evolution of a wine from its raw materials is quite compelling. Chris made an astute observation the other day about the difference between winemaking as taught at University and as practiced in the real world. Production management is just an idea at school, something to engage with when planning the capacity of one’s theoretical winery with the theoretical budget assigned by one’s lecturer. In the Hunter, I had some glimpses of the importance of logistics in many winemaking settings, but now that I’m seeing first hand the challenges associated with having to process sixteen parcels of fruit through five open fermenters in a single vintage, it has somewhat radically changed my understanding of the options that may or may not be available to winemakers. What does one do if Cabernet is ready to come off but there’s several lots of Shiraz sitting on skins post ferment? Does one delay picking, or press ferments earlier than is ideal? This is winemaking in the real world, encumbered by annoyances like space, time and money. The next few weeks ought to be bloody interesting. Today marks one week with Lake’s Folly, and my time with the team will shortly come to an end. Legendary assistant winemaker of twenty eight years, Peter Payard, asked me today whether the experience has been what I thought it would be. Hard question to answer, and I’ve resolved not to jump to too many conclusions before the year has played out. Two things are obvious, though. Firstly, I’ve an enormous amount to learn not only with respect to winery operations but also winemaking itself. The tree of decisions facing winemakers in the real world is related to what I learned at University in the same way mathematics might describe the path of a bouncing ball – accurate in its way, but quite unable to bring to life the reality of the situation, let alone equip one to catch the ball. Secondly, and perhaps less obviously, I’ve had a niggling question in the back of my mind since planning this year: what if I hate it? What if I get into a winery, start helping out with things and realise in my gut that it’s simply not for me? To my relief, I am loving it. Even the cleaning. I’m excited by the vineyard, the juice, the ferments, the winemaking decisions, the transfers to barrel, the topping up, the sensory evaluation, the daily measurements; everything. No doubt some is due to the novelty of it, but what is more profound is a sense that I’m only now truly learning about wine, that it’s only in the making of it that I am starting to understand how the finished wine becomes what it is. As a wine lover, that is beyond gratifying. So with that litmus test passed, what remains is simply to experience this year’s vintages here and abroad, to see how it’s done differently by different people in different regions and, eventually, to perhaps draw some conclusions about what it all means. Much yet to come, then. In the meantime, we have more beautiful Chardonnay to process tomorrow, a dinner with the team that promises to be spectacular for various reasons, and the long drive to Tasmania, my next stop.